Everything you need to know about Fixed Appliance which can be wired into your home. 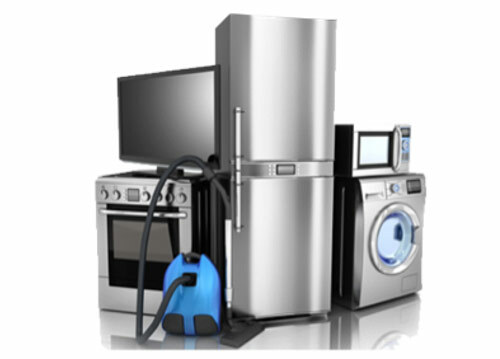 We cover all aspects of fitting, maintaining and buying the typical appliances which are fixed in people’s homes. Fixed Appliance are those appliance which are permanently connected in your home, so take a little more consideration, particularly with sighting and connecting. We cover cookers, TV’s, showers and a range of other appliances. This is the section that deals with choosing, fitting and maintaining all the types of appliance that you can have in your home. When we say fixed appliances, we mean appliance that are permanently connected in your home. These are the appliances you cannot unplug and easily move around your home, although you might and would probably take many with you when you moved home. Typically this definition would include the cooker and shower, but we have included the TV because often there are brackets that are fixed so once installed you are not likely to remove it from the bracket regularly. When it comes to information about wiring and circuits this is included in a separate section, although you might need to refer to it while installing any one of the fixed appliance we cover. You can find more information about wiring here. If the appliance needs to be connected to the gas network you will need to find a qualified tradesman, and we have a whole section on how to work with gas safely, and it will explain exactly what you are allowed to do yourself and when you need to get an expert in. Have a look at our gas and gas safety section here. Why hardwire some appliances and not others? Hard wired appliances are wired directly into the household wiring rather than plugging a plug into an electrical socket. Appliances that are built in are likely to be connected this way. All appliances whether portable or electrical should be able to be switched off or isolated. This will be on the face plate where the connection is made to the wall, and will usually have a light to signal when it is live or on. The cable on hard wired appliances should not be longer than a maximum of 2 metres. The main reason for hard wiring appliances is safety. 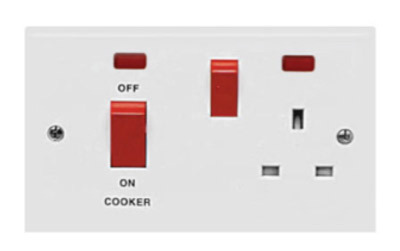 Cookers have to be on their own circuit with their own fuse at the consumer unit because they draw so much current. See Part P of the building regulations for more information about this, and remember that this is work that needs to be down by a qualified electrician. As a result you cannot simply be allowed to plug a cooker into any electric socket, as it would not be on its own dedicated circuit, therefore the must be hardwired. Showers have to be wired in as it is important to ensure that the water and electricity do not mix. This is the reason that you are not allowed any switches (except pull cords) and plugs (except shaver sockets) in a bathroom. 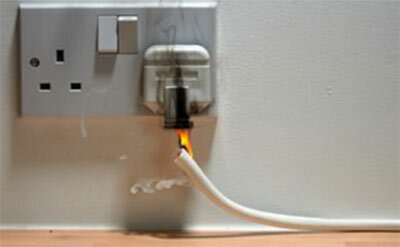 Other appliances can be hardwired or you can find them which are plugged in. If they are hardwired or plugged-in there should be a switch at the socket to turn them off. It is advised that if an appliance will draw over 2kW then it should have it’s own dedicated supply, which is often taken to mean being hardwired. Other factors that will affect whether an appliance is hardwired are convenience. It can be difficult to reach a fused plug behind a heavy appliance if the fuse blows. In this case you might consider moving the socket and hardwiring the appliance. Clearly it is not as convenient when you come to move home or you need to rearrange your home, if you have hard wired appliances, however this happens reality rarely so the extra safety benefit will be worthwhile generally. It is important to stress that you should not tackle any project that you are not totally sure of and projects in kitchens and bathrooms are not to be done by DIY enthusiasts. These guidelines are not just for your safety but also for those who might use the house after you have finished your project and have moved on.